Erosion control using Soft Protection Methods is one of the main objectives of our Engineering firm Aquaterra. Our designs and applications are compatible to the definition given by the European Code of Conduct for Coasts (European Code of Conduct for Coastal Zones, UNEP, 1999). Hard Engineering: establishment of structures which aim to resist the energy of the waves and tides. Such structures include: breakwaters and seawalls designed to oppose wave energy inputs, groins designed to increase sediment storage on the shore, and flood embankments and barrages designed as water tight barriers. Soft Engineering: Soft engineering: establishment of elements which aims to work with nature by manipulating natural systems which can adjust to the energy of the waves, tides and wind. This approach has economic benefits while minimizing the environmental impact of traditional engineering structures. 1. Coastal Protection study and Engineering Design: The geometrical model of the study area is generated from field surveys of coast topography and sea bathymetry. After implementing field data, Numerical Simulations on current flow circulation and sediment transport are applied to evaluate the Hydrodynamic Conditions of the coast of interest. As soon as the coast model is evaluated, a variety of different climate conditions is examined in respect with different structure dimensioning. For the final structural design, the Factor of Stability of designed structures exceeds the value of two (FS≥2.0) the greatest of almost all traditional Coastal structures (which rarely exceed the value of FS=1.50). Coastal Engineering Simulations are running in Aquaterra’s Computing Workstation via Parallel Processing Software (High Performance Computing/HPC). 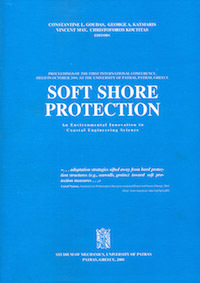 Optimized Soft Protection measures are designed with the minimum Environmental Impact to the wider Coastal zone (Upstream, Downstream). Any Structure that functions as a barrier with adverse impact on the Coastal Zone is excluded from the design procedure. 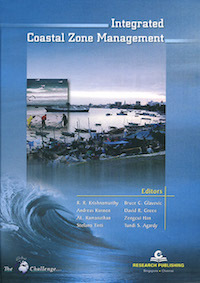 Sediment transport is simulated for various climate conditions of short-medium term. 2. Environmental Permitting: the Environmental Permitting follows the issued Greek Environmental Legislation. Construction of Coastal Protection works: Implementation of Technical Measures / Constructions follows the technical specifications set by the engineering design procedure (Soft Protection Methods). Environmental disturbance is kept to a minimum during field works. No Bed scraping occurs during installation or any kind of bed anchoring. No heavy equipment is needed while the main construction phases are completed by qualified personnel. Cost is limited thanks to specialized construction techniques. Installation time is also kept to a minimum of a few weeks. The life-time of the designed structures exceeds 20 years based on several previous (functioning) applications in Greece and abroad. During the years a considerable amount of information is provided on how these applications work under real coastal conditions on Erosion Control. This know-how is used as a feedback for our application designs. The method is environmentally friendly. It does not alter the aesthetics of the landscape. The implementation of the method is made mainly with human resources (divers, skilled and unskilled workers). Power consumption is minimal. There is no use of machinery into the sea. The method does not interrupt the circulation of water in the coastal zone. It promotes cleansing of pollutants and does not interrupt water circulation in directions parallel or transverse to the coast. No construction maintenance is required for the structure itself. The design and construction costs are much smaller (1/2 to 1/3) as compared to any other traditional method of shore protection. The structure is installed by qualified personnel (divers) and no harm is done to the coastal environment (no seabed excavations) while shore and seabed disturbance is kept to a minimum. Swimmers may use the coast without running any risk of injury during operation of the system. Why not Hard Engineering for Shore Protection?